Original release date March 17, 2010. 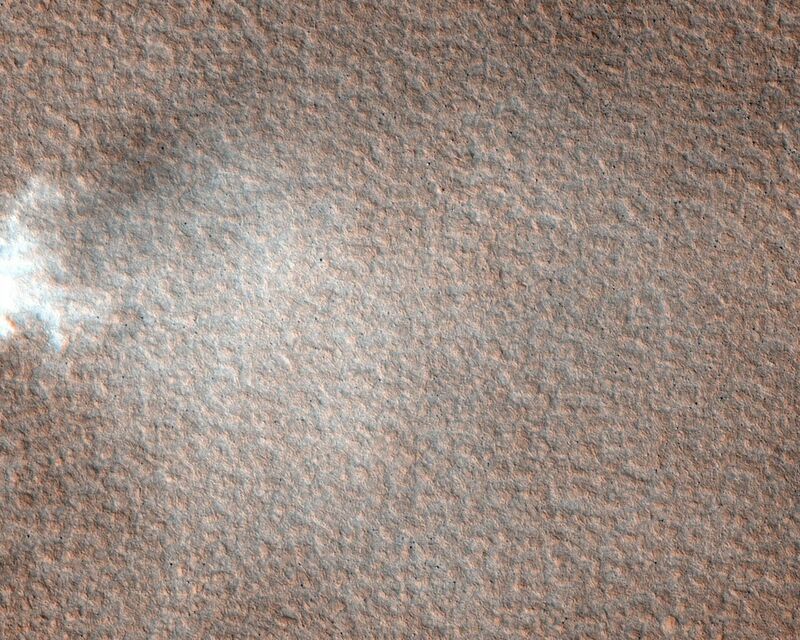 Sometimes HiRISE finds something unexpected. 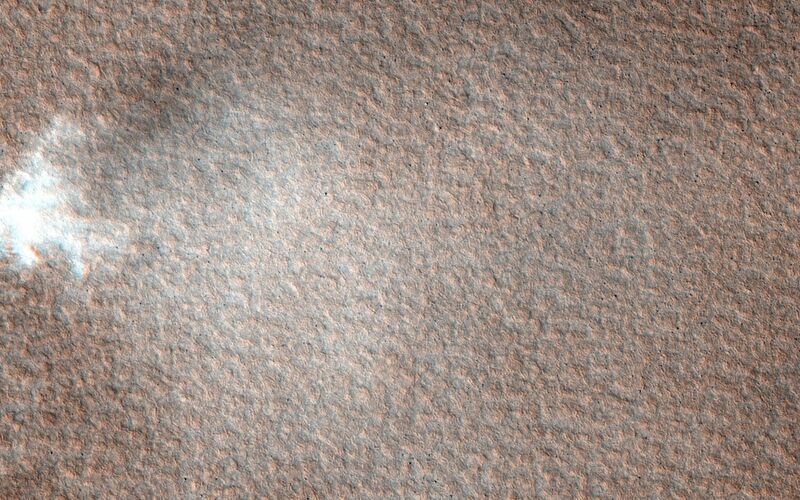 This image was targeted to study knobs in Mars' northern plains, just north of Scandia Crater. The knobs are clearly imaged, but what surprised scientists was a dust devil visible in the south-central part of the image (see inset above). As on Earth, dust devils form when ground heated by sunlight warms the air above it. The hot air rises, forming an updraft accompanied by vortical motions. Because warm ground is a requirement, dust devils on Mars generally form in late spring to summer, especially at high latitudes. This image was taken in early spring (2010), at a latitude of 61 degrees North. No dust devil has been seen this far from the equator at such an early season before.